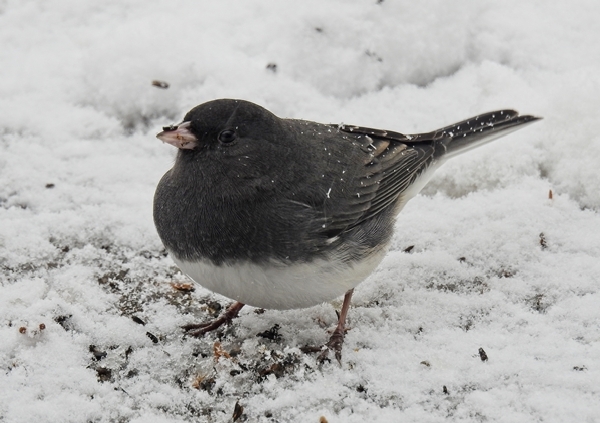 While this winter’s White-Throated Sparrows and Dark-Eyed Juncos will soon be leaving us to migrate up to Canada where they breed, Chipping Sparrows are now returning to Maryland and other parts of the US and Canada from their winter spent in the south. 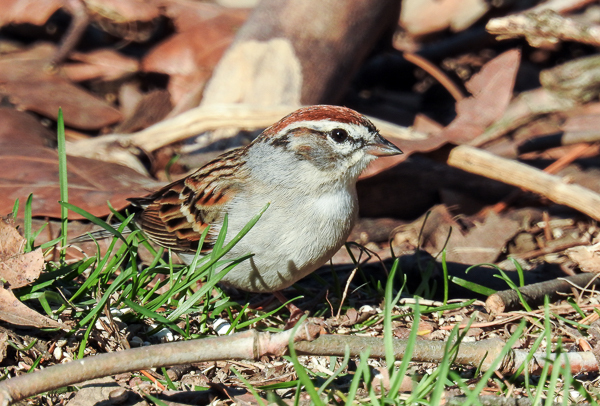 The first Chipping Sparrow of the spring showed up in our yard this week. These tiny little guys are definitely welcomed back! 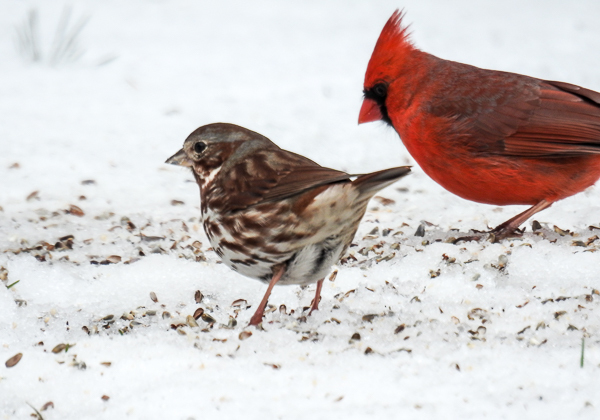 The most active and interesting days are often not the bright beautiful sunny days but the stormy days when birds are eager to eat as much as they can to keep energy levels high. Yesterday’s storm brought us just such a day with really interesting feathered visitors and activity, so I have pictures and stories to share with you.